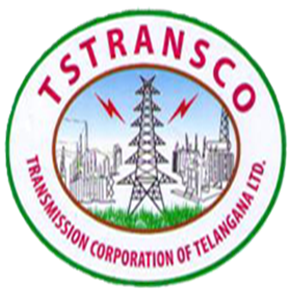 TSTRANSCO Recruitment Notification 2018: Transmission Corporation of Telangana Limited has announced direct recruitment notification 2017 for the post of Assistant Engineer(AE – Electrical, Civil), Junior Lineman, Sub-Engineer /Electrical. Eligible candidates can apply online for 1604 vacancies at tstransco.in. Out of 1,604 posts, 330 vacancies are Assistant Engineer (AE) Posts, 174 vacancies are Sub Engineer (Electrical), and 1,100 vacancies are Junior Lineman (JLM) posts. Applications are invited On-line from qualified candidates through the proforma Application to be made available on http://tstransco.cgg.gov.in to the post of Assistant Engineer (Electrical), Assistant Engineer (Civil ) & Assistant Engineer (Telecom). Age as on 01.07.2017 (Min. – Max. ): 18 yrs – 44 yrs. Applications are invited On-line from qualified candidates through proforma application to be made available on http://tstransco.cgg.gov.in website to the post of Junior Lineman. Age as on 01.07.2017 (Min. – Max. ): 18 yrs – 35 yrs. (The details of vacancies Zone-wise, Community-wise and Gender-wise (General / Woman) may be seen at Annexure-I). IMPORTANT NOTE : The number of vacancies are subject to variation at the time of recruitment. Must possess a Bachelors Degree in Electrical Engineering / Electrical and Electronics Engineering of a Recognized University in India established or incorporated by or under a Central Act, Provincial Act, or a State Act (or) an Institution recognized by the University Grants Commission/AICTE (or) any other qualification recognized as equivalent thereto (or) a Pass in Section-‘A’ & ‘B’ of A.M.I.E. examination conducted by Institute of Engineers in Electrical/ Electrical and Electronics Engineering. Must possess a Bachelors Degree in Civil Engineering of a Recognized University in India established or incorporated by or under a Central Act, Provincial Act, or a State Act (or) an Institution recognized by the University Grants Commission/AICTE (or) any other qualification recognized as equivalent thereto (or) a Pass in Section-‘A’ & ‘B’ of A.M.I.E. examination conducted by Institute of Engineers in Civil Engineering. Must possess a Bachelors Degree in Telecommunication / Electronics /Electronics & Communication Engineering of a Recognized University in India established or incorporated by or under a Central Act, Provincial Act, or a State Act (or) an Institution recognized by the University Grants Commission/AICTE (or) any other qualification recognized as equivalent thereto (or) a Pass in Section- ‘A’ & ‘B’ of A.M.I.E. examination conducted by Institute of Engineers in Electronics & Communication Engineering. Must have a Diploma in Electrical Engineering (or) Graduation in Electrical Engineering in addition to Diploma in Electrical Engineering (or) any other equivalent qualification recognized by the Board / United Govt. of A.P. / T.S. / India / UGC / DEC / AICTE as the case may be or the Institutions registered in united A.P. / T.S. Education Department. Fee: (Remittance of fee): Each applicant must pay Rs.100/- (RUPEES ONE HUNDRED ONLY) towards Online Application Processing Fee. This apart, the applicants have to pay Rs.120/- (RUPEES ONE HUNDRED AND TWENTY ONLY) towards Examination Fee. However, the Applicants belonging to SC/ST/BC Communities and PH are exempted from payment of examination fee. (I) Step:- Payment of Fee: The Applicant should pay the prescribed Fee as per the notification as detailed above and obtain Fee paid receipt with Journal Number (12 digit) in the first instance. (II) Step:- Submission of Application: After payment of Fee, the Candidate has to visit the website http://tstransco.cgg.gov.in to view the detailed notification, User Guide and Application Form. The applicants have to provide payment details (journal number and date) and upload the scanned copy of passport size photograph with signature (see instructions for scanning and uploading photograph with signature) and then invariably fill all the relevant fields in the Application. Immediately on submission of application, applicant will get an acknowledgement in the form of a downloadable pdf document. The written test comprising of 80 marks consisting of 80 multiple choice questions and each question carrying 1 mark. The section A consisting of 65 questions on core Diploma subject, i.e., Electrical and the section B consisting of 15 questions on General Awareness and Numerical Ability. i) Syllabus: The syllabus for the written examination is placed at Annexure II. ii) Hall Tickets: The hall tickets will be placed on the website seven days prior to the date of examination. The candidate has to down load the Hall ticket from the website only. Hall tickets will not be sent to the candidates by post. iii) Examination Centers: The written examination will be held at different centers located in GHMC area. For more details please visit the official website: https://www.tstransco.in. B.tech final year students are eligible for a.e posts??? Ap people can apply …??? sir iam passed electronics and instrumentation engg so is there chance to apply for Tstransco AE post in electronics and communication vacany.